just remember about an article that i read long time ago about: Copycat. copycat is the one that closely imitates another. she/he acts as an imitator. she/he follows another. she/he copies another. agree? well i was just thinking..where did you get an idea of your outfits today? did you see somebody else wearing it? or see a celebrity wearing it on tv or magazine? i believe that we have ever copied others' style. you can not say never, because trend would not be 'trend' if people didn't 'copy'. but what do you do when someone in your circle of friends is obviously copying you? do you feel flattered or annoyed? i guess..first you may feel flattered to know that you are being copied, you are being looked up by others, you are an inspiration for others. simply, you are trendsetter. but if it continues over time, im sure you will be annoyed and not comfortable, as out of there, 'they' have your style. 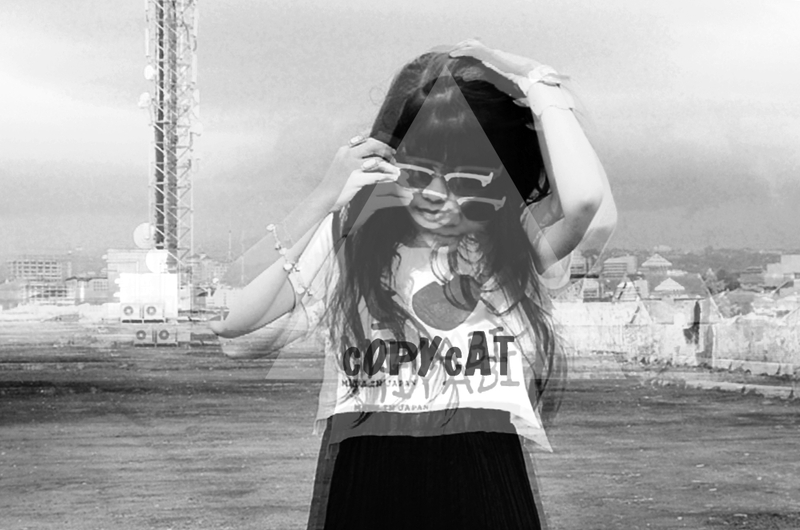 here's the key: be smart copycat. you can put your own personal style into every trend. don't be a copycat murderer. you know we all would have to admit to feeling upset when there were another person was wearing our outfits. i mean in the same way, overall. here i clarify that i make this post doesn't mean that im a trendsetter or im not a copycat. come on guys.. everyone's born different. you are here to be you, thus be who you are. an original is worth more than a copy. i have been craving for these all American Native Indian stuffs for ever!! and heavenly i found them all at Nimus Art, a store that sell all American Indian Products and original handmade from natural materials such as bone, feathers, leather, etc. actually not only fringe bag and necklace that available there but also dream catchers, wall hangings, earrings, bracelets, rings, and so on. this fringe bag would be my favorite sling bag ever. theme for this post is..having fun! so i choose yellow seeing that it represents youth, fun, happiness, sunshine and other light playful feelings. life's too short to be blue; so be yellow. ready to have fun? 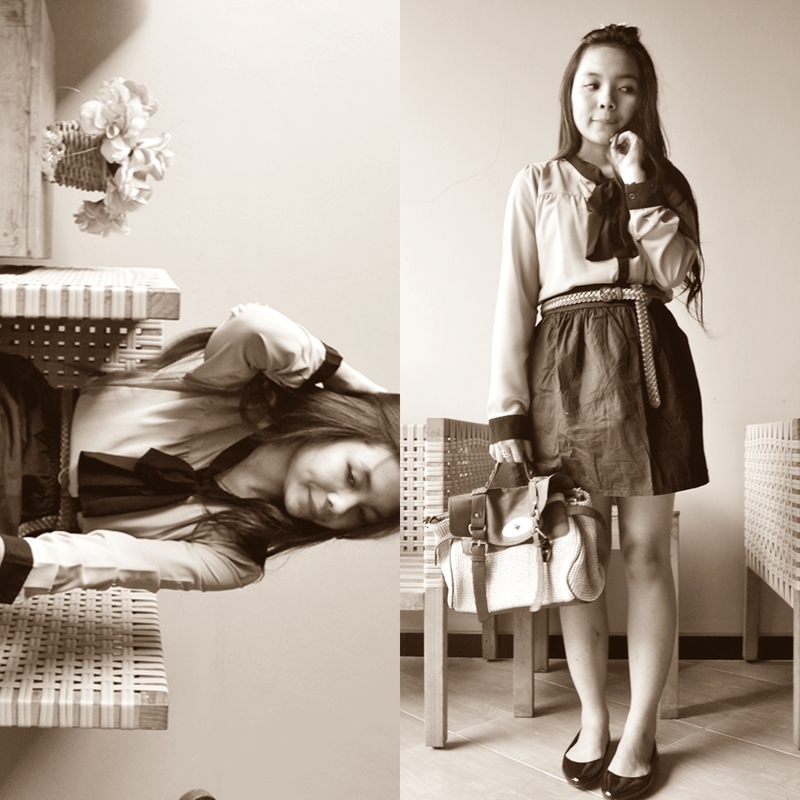 here im wearing the newest items (top, bottom, and shoes) from Matahari Department Store.